It is our number one goal at Ski Valet Whistler to ensure your ski vacation at Whistler Blackcomb is as stress and hassle free as possible, and you have the highest quality equipment for your ability level, size, and the current conditions. With ski rental delivery, you can spend more time on the slopes and apre with your friends and family, and less time trying to organize your rentals, and fighting the crowds in the traditional ski shops. Absolutely not; in fact, Ski Valet Whistler is often less expensive than renting with a traditional ski shop, because we don’t have the huge overhead of expensive Whistler rents in the high traffic areas needed for a traditional ski shop. Our ski equipment rental pricing is very competitive and if you do find a better price on ski/board rentals anywhere in Whistler, whether another delivery company or a brick-and-mortar shop, Ski Valet Whistler will match their pricing.. There is a 48-hour cancellation policy on all reservations. The days falling within the 48-hour cancellation window will be charged in full. There is a one day minimum rental requirement. We will meet you from any of Whistler Blackcomb’s three bases, a coffee shop, patio, or at your room to make any adjustment to the ski rental equipment, or do another professional boot fitting to ensure you are comfortable and happy on the slopes, at no extra charge. We encounter this quite often here in Whistler, where the conditions can change quite quickly and unexpectedly, and suddenly you are finding some fat powder skis would be a lot more fun. We are happy to change out your skis for a small $10 set-up fee. Yes, you will receive a $8 discount if you have your own boots. The credit card holder must be present at the time of pick up. Yes, we can meet you anywhere in Whistler that is convenient for you. We recommend you make time or location changes at least two hours in advance. Rates will apply to equipment delivered before 3:00 pm and picked up after 9:00 pm on the final day of your rental. We are open from 8:00 a.m. to 9:00 p.m. and can deliver or pick equipment up any time during those hours. If you have special circumstances (i.e. arriving late the evening before, wish to take part in Fresh Tracks, etc…), we may be able to help you out with an earlier or later delivery. Please contact our office at 604-962-6364 or via email at info@skivaletwhistler.com to confirm your delivery date/time. Please be aware that it is your responsibility to schedule a time to have your equipment picked up. We suggest at least two hours advanced notice. No, you must call the ski shop in order to schedule an appointment. 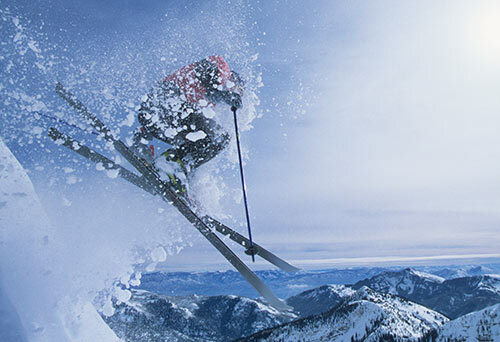 Our ski techs do not have the schedule in front of them and can not guarantee a certain time.